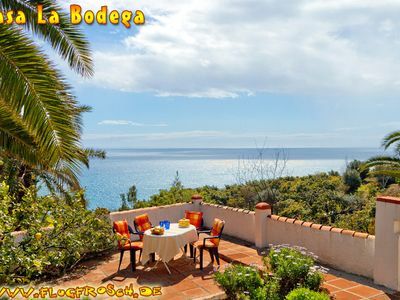 The child-friendly holiday home Casa La Bodega is located in an idyllic location on the "Monte de los Almendros" (Mandelberg) in Salobreña on the Costa Tropical, the eastern part of the Costa del Sol in Andalusia. For rent is the entire lower floor of 2-storey house. With approximately 100 m² living space This offers convenient space for up to 4 adults and 2 children. The rooms and terraces are decorated with Andalusian arches and give the Casa La Bodega a very special Mediterranean charm. 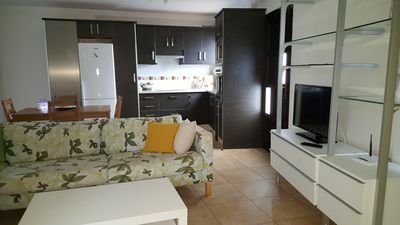 At your disposal are 2 bedrooms with double beds and 1 bedroom with a bunk bed in a connecting room. On request, a cot and a highchair can be provided for a small fee. There are also 2 bright tiled bathrooms with shower and toilet. 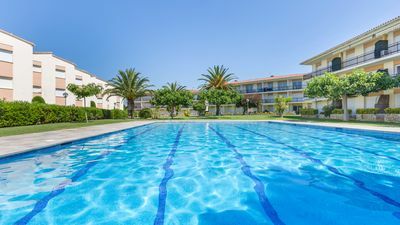 Info: During your stay, the upper apartment is always definitely uninhabited, so you have the entire outdoor area of ​​1 032 m² plot, including all terraces, the garden and the pool fully at your sole, personal use, and your holiday in peace and quite undisturbed can enjoy. 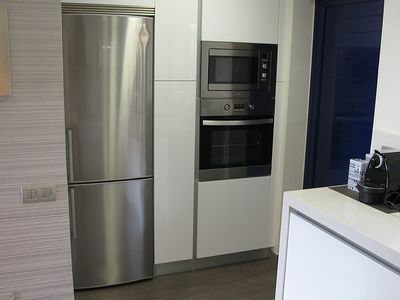 The kitchen is equipped with a 4-ring ceramic hob, a mini oven, a fridge-freezer, coffee machine and toaster. The living room has German satellite television, radio, CD player and DVD player. 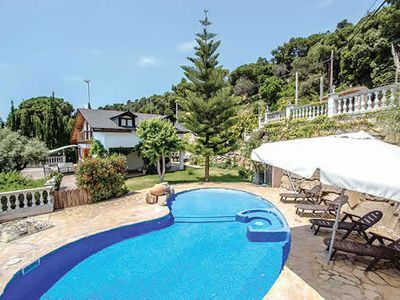 For around 1 032 sqm plot is a private, solar heated pool of 7.50 x 4.00 meters, which is largely protected against intrusive glances. There are several romantic sunny and shady spots in the garden and around the house. 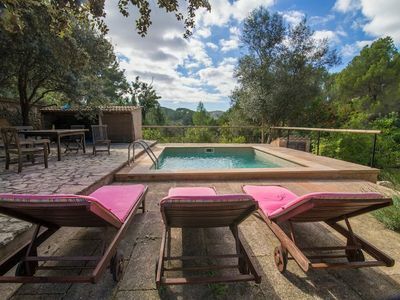 Here you can wonderfully sunbathe and relax and light the grill to warm Andalusian evenings. A covered patio provides protection against sun and wind. The lush garden offers many colorful blooming flowers and palm trees, cypresses and exotic fruit trees with tropical fruits. At harvest time, the orange, almond, tangerine, lemon, fig, olive trees and grape vines you the fruits are for own enjoyment. 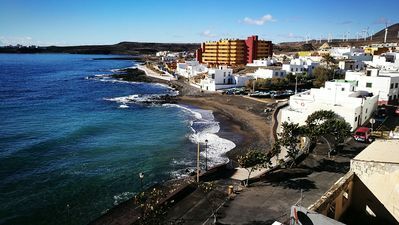 The spacious square in front of the house and the pool area offer a magnificent view of the coastline, the beaches and built on a rock White City Salobreña with its romantic castle. The castle is often spotlighted in the dark - an attraction in balmy Andalusian nights. Another terrace offers an unobstructed view of the Mediterranean, across lush green plantations. A parking space for your car can be found on the enclosed grounds. Your contact on site is fluent in German and Spanish and is in an emergency also willing special tasks such. B. Etc. physician visits, Interpreter perceive. 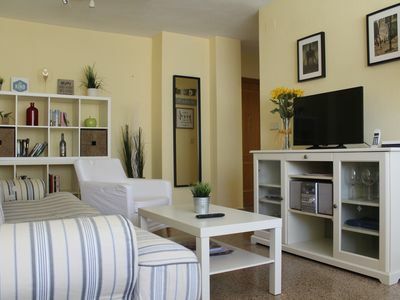 In addition to the private pool of Casa La Bodega is a possibility, the very well maintained communal facilities of the residential area Monte de los Almendros at no additional charge. 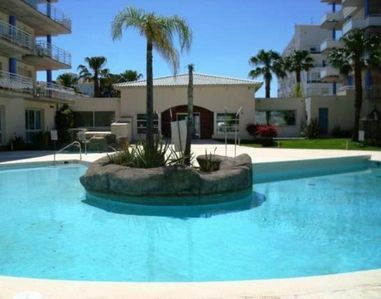 In addition to the large pool area with separate children's pool there is an opportunity for tennis and football game. 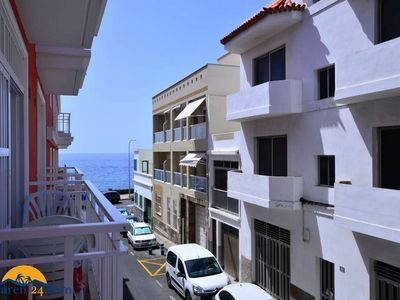 The community facilities that are easily accessible on foot in 5 minutes, are used only by the owners and their guests and offer good opportunities for international contacts. The Monte de los Almendros is part of the Costa del Sol / Costa Tropical in Andalucia. The region is certainly the most picturesque landscape of the entire coastal section. 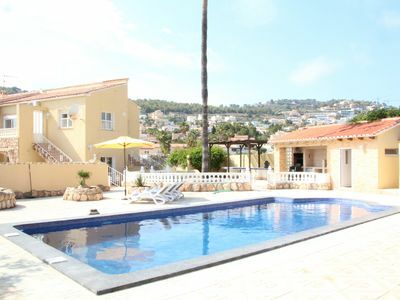 To the beach and to the romantic old town of Salobreña is only about 10 minutes by car. You will find numerous restaurants and shopping opportunities with Spanish and international cuisine to suit all tastes and budgets. Excellent shopping facilities are also around 15 car minutes away shopping center "Al Campo" in Motril. 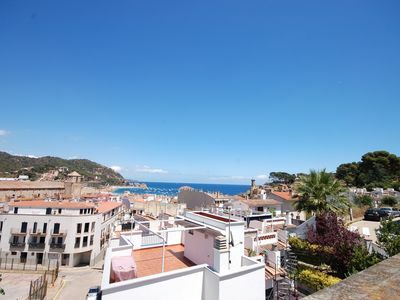 You can wander through the narrow streets of the numerous nearby mountain villages, visit the water park, the bird park or one of the many historical sites, or take a trip to the Palace of the world-famous Alhambra in Granada. • Every week, 100 kWh electricity included, which is completely sufficient for a normal consumption generally. Only an overlying consumption will be charged with 25 cents per kWh. 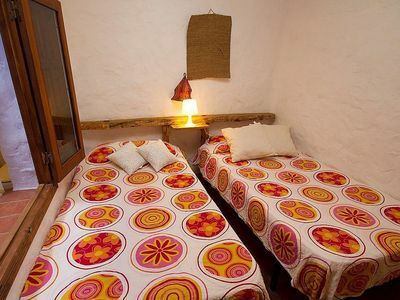 If you would like to definitely book Casa La Bodega, simply click on "Make reservation". When booking you will receive a complete rental agreement and a detailed itinerary with all the details and contact information. 3 Bed 1 bath w/private pool, free WiFi, hairdryer, Bluetooth speaker, built-in BBQ, d/washer & DVD player. 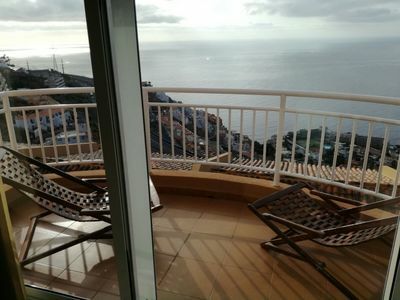 Amazing View, quiet, modern furnished Duplex in Tabaiba. Free Wifi.